Until the end of the 19th century Villa Cicolina was the country residence of a noble family of Montepuciano, it was built in late sixteenth century as the wooden capitals and doorposts show. In 2000 it was purchased by Andrea e Angela, two doctors travel lovers, who decided to transform it into a small relais. Restructuring the villa was inspired by the African lodges where the natural elements and the housing comfort blend together in perfect harmony. The Restructuring process was fulfilled with a logic of total conservation of the furniture and decorations, we aimed to make our guests feel that the untouched spirit of the centuries go through the walls of Villa Cicolina. Set between century-old olive trees and overlooking the Tuscan landscape around Montepulciano, the travertine infinity pool and the Jacuzzi are the gems of the Villa where the guests can swim among the warm colors of these typical Tuscan stones and they can feel flying and touching the hills surrounding the pool. During the spring and the summer seasons the infinity pool and the Jacuzzi are open every day until sunset. In the warm season, drinks and aperitif can be served by the pool. 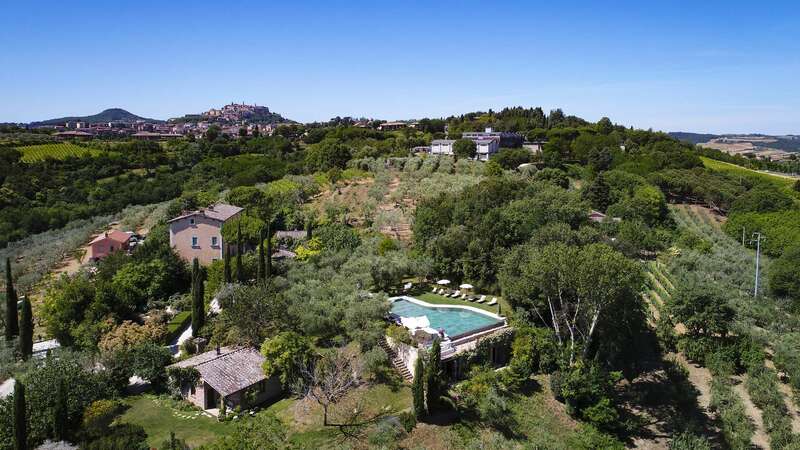 Villa Cicolina’s gardens are the highlight of the property, a peaceful place where is possible to escape from the frenetic life of the metropolitan cities and relax enjoying the Tuscan and Mediterranean weather at its best. Villa Cicolina enjoys different kind of gardens such as the Tuscan garden immersed between olive trees and flowers which takes to the infinity pool, the Italian garden with a travertine fountain and flowerbed with white and red roses and other little gardens around the Villa where are usually served both the breakfast and the dinner. All these gardens surround the main Villa and change their colors and smells with the different seasons. In spring, it’s a sea of wild flowers while during the summer the lavenders and the rosemary bloom and their perfumes surround the entire Villa. Villa Cicolina’s charming, country chic style restaurant is elegant and at the same time, informal. We recently opened our doors to guests not staying at Villa Cicolina. Villa Cicolina’s restaurant cuisine is inspired by both Tuscan culinary traditions. Our chef uses the products of the land creating delicious seasonal dishes with Tuscany’s world famous cured meats, Chianina beef, Cinta Senese, the cheeses of Pienza, and the vegetables and aromatic herbs grown in the Villa Cicolina’s kitchen garden. Particular attention is given to the choice of organic products which are mainly locally sourced through a careful selection of the best suppliers located in the area of Montepulciano. In particular, we use only Villa Cicolina’s organic olive oil both for cooking and for adding flavor. Ours is a certified DOP Terre di Siena Extra virgin olive oil. Guests also enjoy a self-service buffet breakfast In the rustic restaurant room from 8 am to 10 am. Light lunch with cold dishes is offered and served daily in the garden from 1.30 pm to 3.00 pm. Villa Cicolina offers exclusive and private dining in a cute little “house” on the property, it is an old shed that was converted into a lovely area just barely big enough for four people. Or, it can be reserved for two for an ultra-cozy and romantic private dining experience. You are served in there, and if the weather is cool they even build a fire! Booking in advance is required for this little luxury. Montepulciano is one of most important wine cities in Italy and the Villa Cicolina itself boasts a magnificent wine cellar. Guests should be certain to visit the ancient underground caverns linked by a series of tunnels which, it is believed, were of Etruscan origin, and are still filled with the old wine barrels which once contained the region’s liquid gold; the famous Nobile di Montepulciano. Our cooking courses let you explore Tuscany and its food traditions while taking cooking classes. These fun, hands-on Tuscan cooking classes teach you the Tuscan culture and traditions and wineries that has made Tuscany famous in the world. During the class we try to teach our guests the secrets of traditional Tuscan plats: handmade pasta, different sauces, starters and desserts, in order to make them able to transmit to their friends those secrets which made the Tuscan poor cuisine famous all over the world. Your classes will be translated in English by a dedicated person and will introduce you to recipes that you will be able to replicate when you return home. Three-hours course: preparation of a starter, first course, second course and dessert and dinner at Villa Cicolina restaurant where you will taste the food prepared by yourself. Cooking class should be reserved in advance, limited availability. 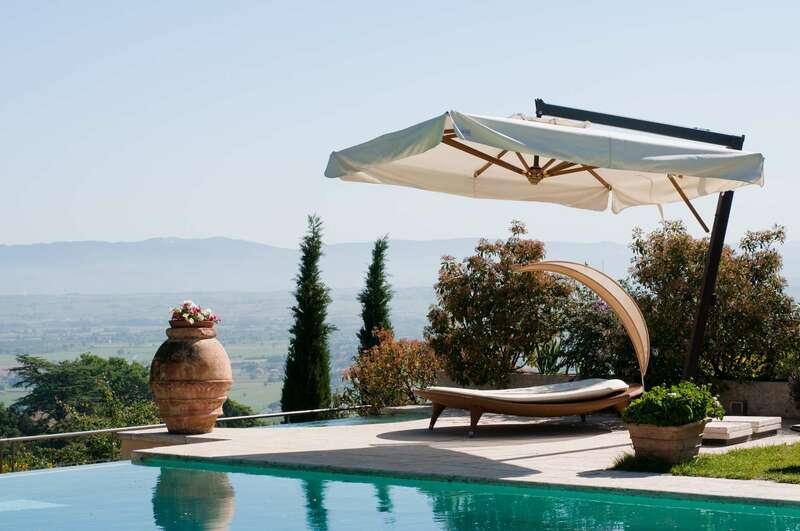 Villa Cicolina is the ideal place where you can live an unforgettable wedding in Tuscany or to celebrate a special day/event (silver/gold wedding, birthday etc.). Villa Cicolina’s staff has a broad experience in wedding planning or special events organization and will take care of any single detail such as the guests reception, the flowers, the photography, the make-up, the hair style and the music that will be customized to suit your wishes. In addition, the guests could rent two wonderful vintage cars such as a 1990 Alfa Romeo Duetto and a 1972 Volkswagen Beetle.